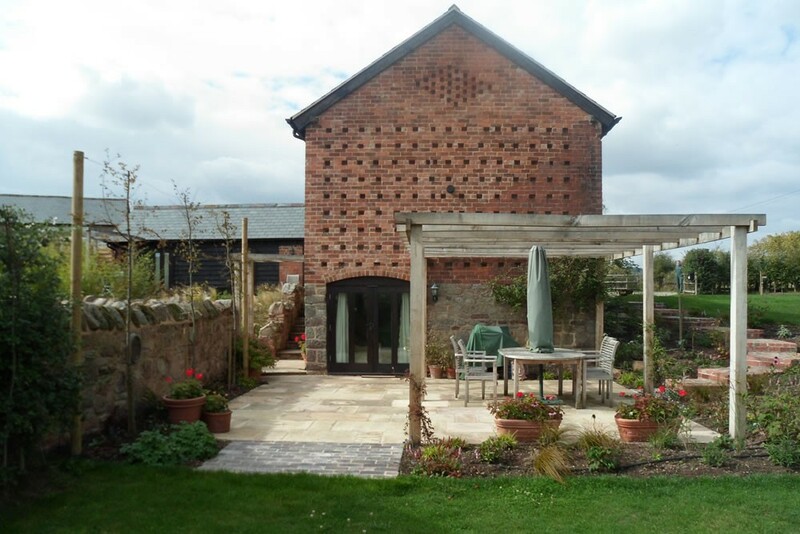 A project which evolved over a number of years, a recently converted barn, with a sloping garden and heavy clay soil. 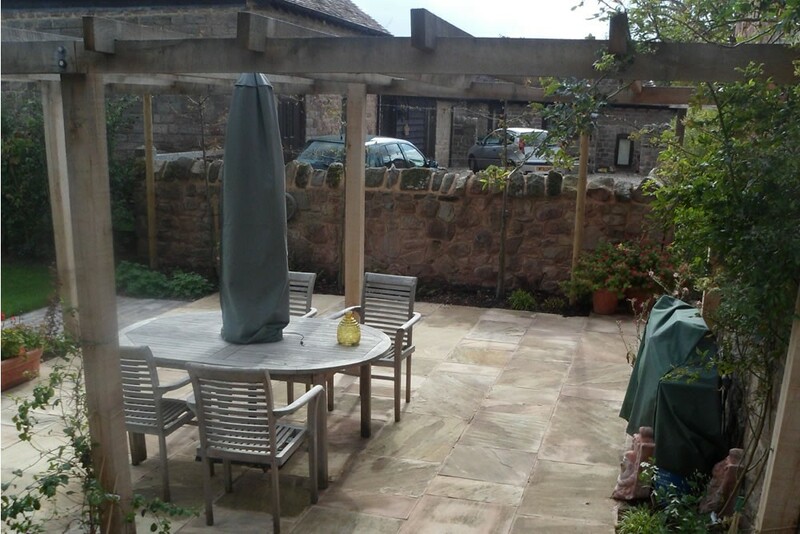 Our first job was to create a more private, enclosed courtyard area that was a great sun trap. 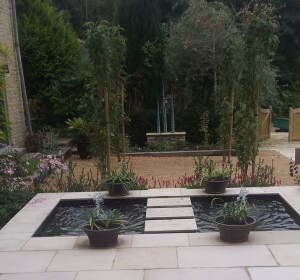 Part of this area sloped steeply so a scree of large rocks and flint chippings planted with grasses, libertia and cistus was the solution. 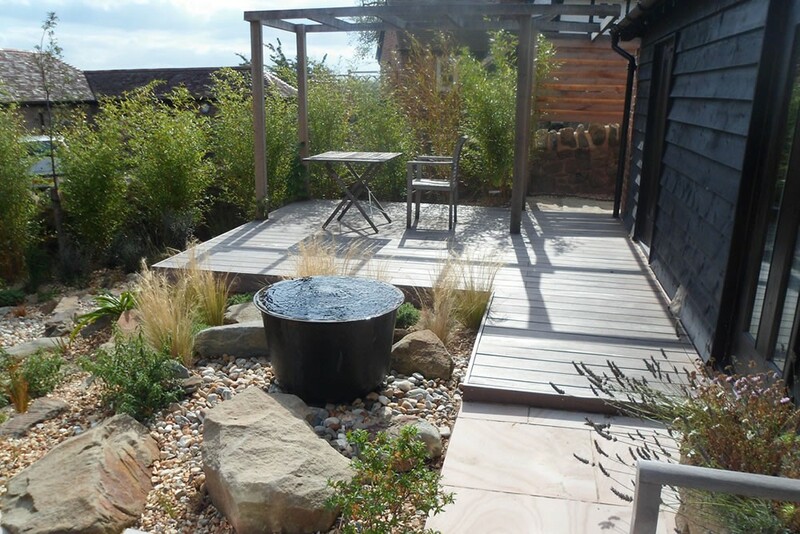 A Victorian cast iron washing bowl was converted into a water feature. 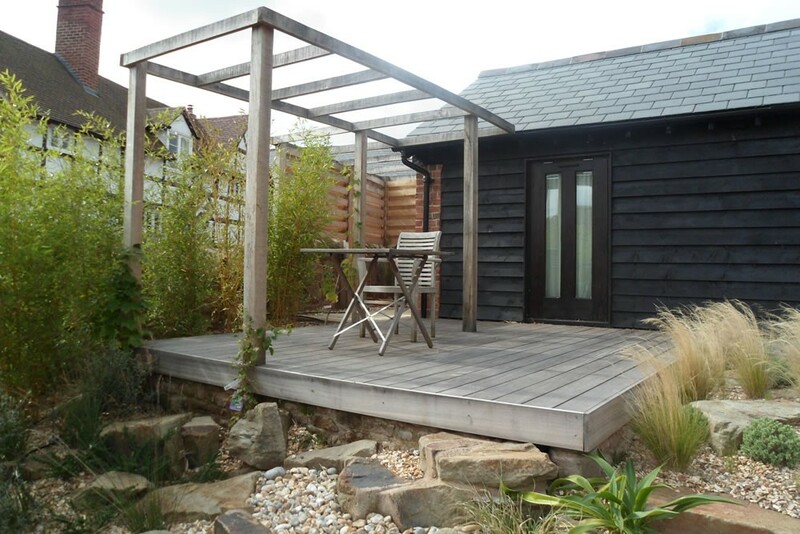 In the lower garden and existing patio was lifted and extended then covered with an oak pergola to give height and link the house with the garden. 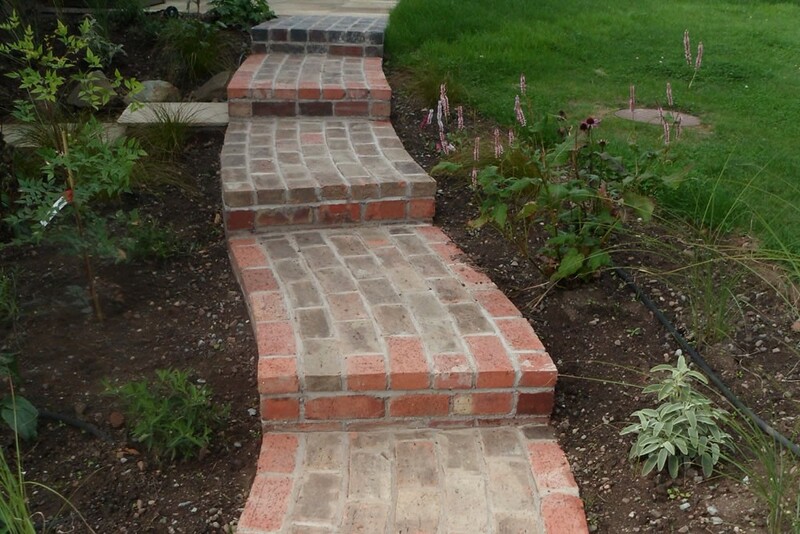 A curving, stepped, reclaimed brick path links a new driveway with the lower patio through herbaceous planting, and a curved vegetable plot was laid out to be a feature of the garden. 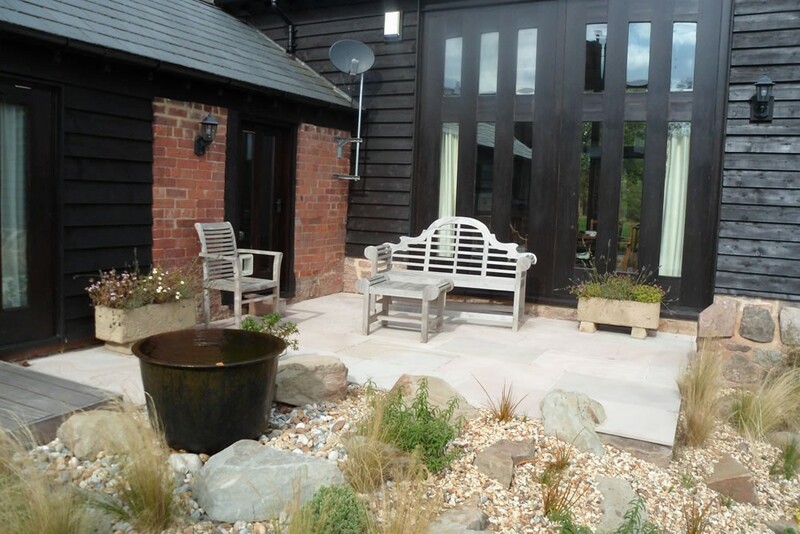 Sawn sandstone paving, oak pergolas and ipe decking were used in the more formal courtyard. 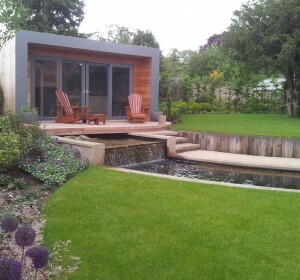 A mix of reclaimed bricks were laid in the curved path, down to a riven sandstone patio. Phyllostachys aurea (Yellow stemmed bamboo) – excellent evergreen screen, was used to give privacy in the courtyard. Some native New Zealand plants including corokia, libertia and sophora were planted in the rock garden. Planting near the driveway included hebe, phyllostachys nigra, carex testacea and persicaria affinis giving good all year colour and interest.